In the annals of General Electric Co.’s (GE.N) storied 126-year-history, 2018 will go down as a year almost everyone with ties to the company would like to forget. GE lost nearly US$90 billion of its market value, its A-level credit rating, its place in the Dow Jones Industrial Average, and any pretensions it still had of being a breeding ground for managerial excellence. The company’s executives, employees and investors were hit with one piece of bad news after another as write-downs piled up, profits in its power unit plummeted, regulators scrutinized its accounting practices and muddy messaging derailed a promised pivot to greater financial transparency. All at once, decades of attempted reinventions – from Jack Welch’s creation of a sprawling conglomerate and push for ever-higher profits, to Jeff Immelt’s post-crisis embrace of GE’s industrial core and ill-fated ramp-up in power and energy – caught up with GE, undermining a company once envied for corporate know-how, admired for best-in-class leadership and respected as a financial gold standard. It now falls to Larry Culp, GE’s first CEO bred outside the company, to halt the slide and steer the company into a healthier future. Culp, 55, served as CEO of Danaher Corp. from 2001 to 2014 and was respected by Wall Street for successfully buying and rebooting businesses. He was added to GE’s board in April as then-CEO John Flannery, a 30-year veteran of the company, sought to bolster a turnaround investors were panning as too slow. 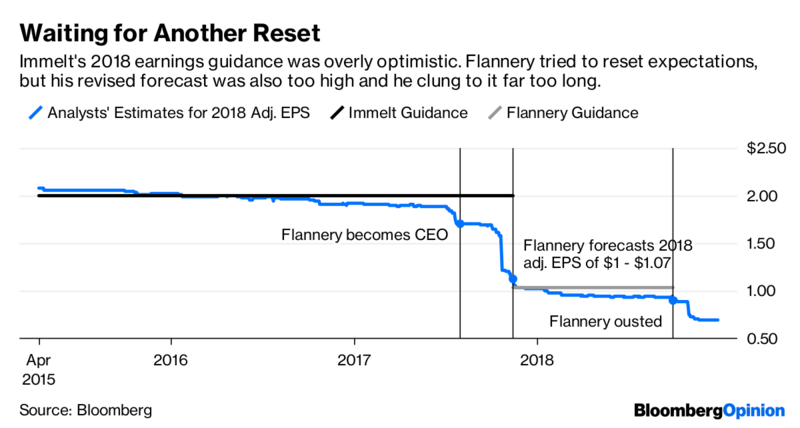 Flannery also needed to rebuild GE’s credibility after the surprise disclosure of a $15 billion reserve shortfall in a legacy insurance business. But his efforts fell short and in October – on the same day the company first flagged a $22 billion writedown largely related to its misguided Alstom SA energy deal – Flannery was out and Culp was in his seat. Years of overly rosy forecasts have sapped GE's credibility. So one of the first orders of business for Culp is to give investors guidance the company can actually achieve – and the definitions he chooses to use for earnings and cash flow will matter almost more than the actual numbers. GE has long been a master of pushing accounting rules to their limits and using financial engineering to its advantage, but earnings adjustments in the later years of Immelt’s tenure were comically elastic. And while Flannery tried to clean up GE’s metrics, his cherry-picked definitions failed to give a complete picture of the company’s underlying financial health. Culp’s most pressing challenge is tackling what analysts estimate to be in the ballpark of US$100 billion in net liabilities. Just as the power unit’s struggles sapped cash-flow expectations for the industrial businesses, that US$15 billion insurance reserve shortfall transformed GE Capital from a cash spigot into a dark web of potential trouble spots. New accounting rules, rising medical costs and extended life spans threaten to further balloon its long-term care insurance headaches, and GE is still awaiting the outcome of a Justice Department investigation into its legacy subprime mortgage business. Other unknowns include a bigger-than-expected bill from the U.S. tax overhaul; a large, unfunded pension balance; and a shareholder lawsuit alleging both financial mismanagement of the legacy long-term care business as well as accounting fraud related to the way it recorded revenue and earnings for product service agreements (GE denies these accusations). Until Culp puts a credible handicap on the company’s overall liabilities, investors will struggle to get comfortable with the valuation math. Culp then has to find the cash to make good on all these obligations. Flannery had announced $20 billion in asset sales, the most notable of which involved combining GE’s transportation unit with Wabtec Corp.(1)For his part, Culp recently accelerated the sale of GE’s stake in the Baker Hughes energy business and cut GE’s quarterly dividend for the second time in a year to a mere penny per share. It’s not enough. JPMorgan Chase & Co. analyst Steve Tusa has estimated that even after these moves, the company will be $46 billion short of what it needs to bring its 2020 leverage down to a more reasonable level. One option is to sell more stock. That would both ease GE's debt burden and allow Culp to take his time with other asset sales. He’s given mixed signals, though, about his willingness to do that. Otherwise, his most viable alternatives for raising cash are selling GE’s jet-lessor unit, GECAS, or following through on a breakup plan Flannery unveiled earlier this year that would see the health-care unit spun off to shareholders, with a stake sold via the public market. In the latter scenario, Culp would likely need to sell a bigger piece of the health-care business than the 20 percent Flannery proposed to make it worthwhile. Still, paying down debt is really just a first step for GE; truly fixing the company will require a deep examination of the cultural instincts and market machinations that brought it to this point. Culp has given signs that he’s willing to tear up the GE blueprint where necessary. Under his leadership, the board — historically prone to coziness and rubber-stamping — opened the door to severing GE’s nearly 110-year relationship with its auditor, KPMG, and added a well-regarded power and insurance expert to its ranks. Culp also hired an outsider — Karyn Ovelmen, the former CFO of Flowserve Corp. — to oversee cost cuts at GE’s beleaguered power operations, a move that counterbalances his curious decision to appoint three long-time company insiders to help him revive those businesses. Amid all of these challenges, Culp also needs to position GE to grow again and avoid future crises. If he pushes ahead with the health-care separation, GE will become more reliant than ever on its aviation division. Aviation has been a rock star for the company; to keep the revenue coming in, GE has to invest in it. Rivals United Technologies Corp. and Honeywell International Inc. are each taking steps to increase their presence in the burgeoning field of connected aircraft. 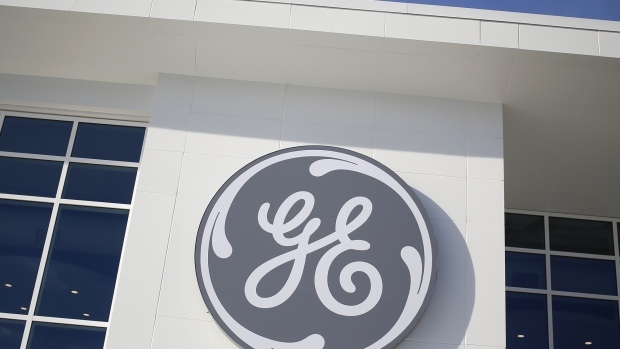 GE, on the other hand, recently bundled its digital products into a stand-alone company, a step many interpret as a prelude to a sale or equity partnership. Jack Welch was known for his relentless determination to make GE America’s most valuable company. He succeeded, but in doing so made Wall Street the ultimate arbiter of success for GE, and, by proxy, for corporate America writ large. Jeff Immelt cared a lot about GE’s stock price and tried hard to boost it; he just tried the wrong things, like billions of dollars in wasted buybacks and the Alstom deal. John Flannery decided to take his time figuring out what needed to be done for GE, Wall Street’s hurry be damned. Now, Larry Culp must strike a balance between reassuring investors who have been repeatedly burned by the company and working to reconstitute a new GE, a revival that may need more time than Wall Street is willing to give it. Culp has been GE’s CEO for only three months. It’s felt like longer, probably not least of all for him. He’s made mistakes, befuddling investors with a tendency to swing from strong stances on some points to infuriating vagueness on others. Some investors have wondered if he has what it takes to turn around GE. At Danaher, he was a builder; GE is in need of extensive restructuring and divestitures. But it may be that Culp’s studied lack of detail is just a reflection of the fact that he’s still developing his strategy, which he plans to lay out in a more definitive form early in the new year. "I look to the end of this year as a chance to re-start in 2019,” Culp wrote in a December e-mail to employees that was obtained by Bloomberg Opinion. The subject line? “Onward.” That’s really the only direction for the company to go at this point. To succeed, Culp will have to make GE more humble, more accountable and more nimble. That will mean job cuts and divestitures. Maybe, though, the end result will be a GE that’s worth believing in again, however diminished. (1) The proceeds from that round of deals will likely end up funding GE Capital liabilities and cushioning the blow from a wind-down of GE’s commercial paper program. GE also had to pay about US$3 billion in October to buy out joint ventures set up as part of its 2015 purchase of Alstom’s energy assets.